Township of Berkeley Heights Municipal Complex Development - MAST Construction Services, Inc. The Municipal Complex Redevelopment will provide expanded and upgraded services to the residents of Berkeley Heights and address the limits of the current outmoded facilities. Amenities of the new Municipal Complex will include a senior area/meeting room, a public meeting room for municipal meetings and community spaces such as multipurpose rooms, an exercise room and a children’s playroom. The facility will also include the new police headquarters complete with holding cells, dispatch center, briefing room, staff offices and training rooms. 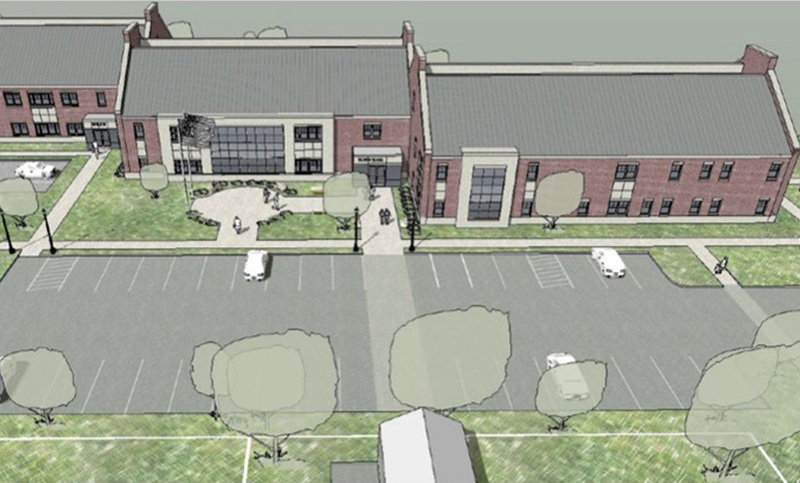 Additionally, a new modern library facility will be constructed along with new township administrative offices and additional commuter parking.